'Like A Jazz Musician': Past Poet Laureate Philip Levine's Posthumous LP Before his death in 2015, the Pulitzer Prize-winning poet collaborated with saxophonist Benjamin Boone in the recording studio. The results have finally been released as The Poetry Of Jazz. Poet Philip Levine (left) and saxophonist Benjamin Boone were both teaching at California State University, Fresno when they began working together on what would become The Poetry Of Jazz. "Like any young person, I wanted to find an art form that the older people in my family would reject, naturally you know," he said to me in a 2004 interview. "I had found T.S. Eliot in poetry: 'God, what kind of garbage is this?' You know. And I heard jazz — rhythmic, driving, sometimes very lyric — and it was very exciting." Levine would be awarded a Pulitzer Prize and two National Book Awards for his poetry, and he remained a jazz fan the rest of his life. In 2012, when he was the U.S. Poet Laureate and teaching at California State University, Fresno, Levine read his poetry accompanied by a band led by a fellow faculty member. That was saxophonist Benjamin Boone. "And it was absolute magic," Boone says. "It was like he was a member of the band. It was like he knew exactly what to do. Like a jazz musician." On and off over the next three years, Levine and Boone went into a studio to record. Three years after Levine's death, the sessions have finally been released as The Poetry Of Jazz. The first track is a poem about adolescence called "Gin." Boone just composed a head, or opening melody, and let the band freely improvise the rest, as the poet read along with them in the studio. "What I love about 'Gin' is that in those free areas, you'll hear the musicians commenting on the lines of Philip's poetry," Boone says. "But it's not a surface-level commentary. It gets the inner core of what he's trying to express about awkwardness, but compassion, and with humor." Jazz and poetry have been frequent bedfellows – for example, the collaborations between the Beat poets and the bebop innovators in the 1950s. For this addition to the jazz-and-poetry canon, Boone created unique settings for each of the 14 poems on the album. In addition to the core California-based band, The Poetry Of Jazz also features guest appearances from major jazz soloists like Chris Potter, Tom Harrell, Greg Osby and Branford Marsalis. The 54-year-old Boone is a Fulbright scholar, now teaching at the University of Ghana. He grew up in small-town North Carolina. Poet Philip Levine came from industrial Detroit, whose culture, and airwaves, provided the rhythms for his poetry. "And mainly, I got them from preaching," he said. "Detroit at the time was probably half Southern. And every Sunday morning you could turn on these guys, both white and black, and they would belt out language like I never heard. I loved it." Benjamin Boone says Levine told him to compose the music as a call and response between the poet and the band. "And it took me a while to digest all of the rage," Boone says. "The seething rage. Like the rage is trapped, and finally it erupts at the end. It's about race relations. And what could be more timely? "He said he wanted to be more like a preacher when he did it. He wanted it to be angry." 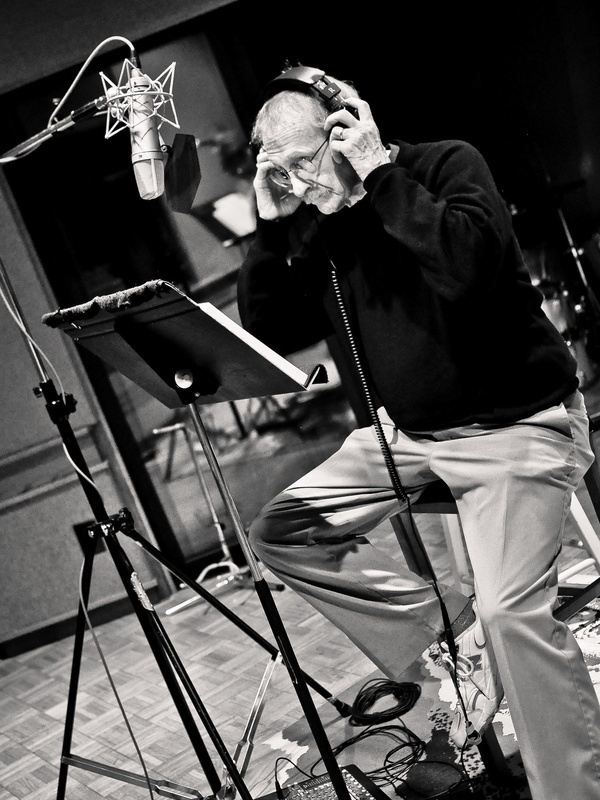 Philip Levine was in his 80s when he recorded his poetry with Benjamin Boone's band. Philip Levine was 84 years old when he started collaborating with Benjamin Boone. The recording sessions could be taxing. "He would say: 'The last session wore me out,'" Boone says. "'I'm sorry I was so tired near the end of it.' But man, you could not see it in the studio. When he got in the studio, it was almost like a kid in a candy shop. He was so energetic and he loved every minute of it." In 2004, Philip Levine said that what makes a poem a good poem is fresh language and authentic imagery — along with something else. "If it has those two things, and then musically it's interesting, as a piece of rhythmic language, I'm going," Levine said. "I'm hooked. And I'm off to the races." 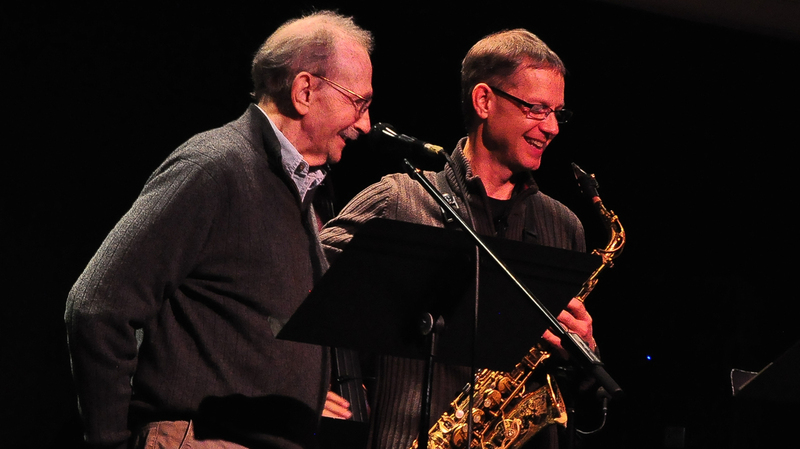 Philip Levine finished recording The Poetry Of Jazz with Benjamin Boone one year before the poet died of pancreatic cancer at the age of 87.